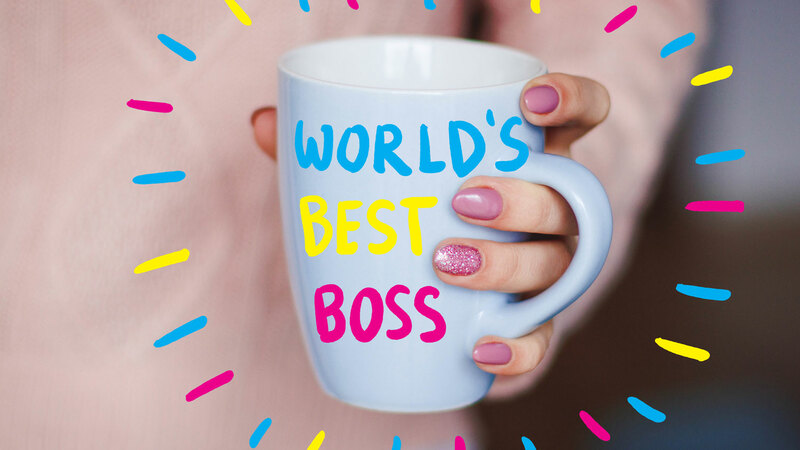 How to be your own best boss. At first, you thought self-employment would be easy, but it turns out your new boss is a complete maniac — full of unrealistic expectations, pushing you to work on weekends and holidays, and judging your work more critically than a British panelist on one of those reality singing shows. Or maybe your boss is a complete pushover — letting you get away with showing up late, long afternoon Netflix breaks, and a general permissiveness you haven’t experienced since your high school art teacher let you do an “independent study” where you goofed off all semester and then for your final, you turned in some rocks you drew faces on with a sharpie and got an A. Before you quit, consider giving your inner-boss a little bit of management training to create a more positive and productive work environment where you can both thrive. 1. Set firm but fair deadlines. Good bosses know some employees need a little kick in the pants to get moving. Set a deadline and hold yourself to it. Make sure what you’re asking is reasonable, but don’t be afraid to lay down the law. Like a parent dropping off their shy, clinging 8-year old at sleep away camp, you may leave them crying in a canoe, but they’ll thank you later. 2. Give a good pep talk. You can do it! Those are the magic words every employee needs to hear. Whether intimidated by a new challenge or suffering through a full-blown meltdown, be sure to sit yourself down, play your fight song, and remind yourself why you got hired in the first place. You’re the best! Bonus points if you make yourself a motivational poster involving kittens and/or glitter. It’s hard to motivate someone who doesn’t know what they’re working for. Good bosses take some time to set out a grand visionwith clear benchmarks for success along the way. This will keep you focused, directed, and safe from the siren-like call of the afternoon nap. 4. Show appreciation for a job well done. If you do your job right, your inner-boss will soon provide you with much needed leadership, vision, and support. And maybe, someday, healthcare!